Activities will include sightseeing, cruising, wildlife viewing and interpretation of the local cultural and natural values. There will be opportunity for swimming, hiking, photography, bird watching and of course relaxing depending on what your interests are. 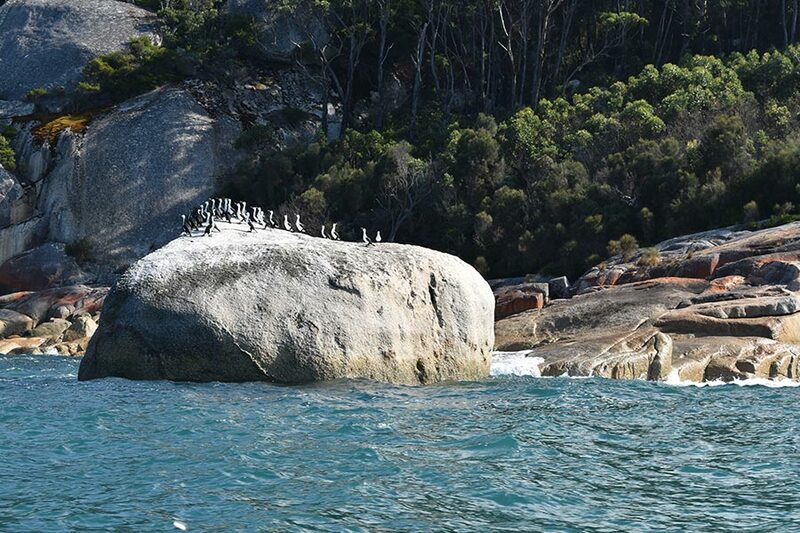 Our visit to Refuge Cove provides opportunity to undertake 2 short hikes which can be guided or self-led walks. The hike to the lookout takes about 10mins each way and provides a great vantage point to take a photo of Refuge Cove from above. This walk is well worth the effort. You can also hike to North Refuge beach. This provides glimpses of the water through the trees and is an easy walk of about 15-20mins after which our boat can pick you up at North Refuge by pre-arrangement with the crew. Food and drink will be provided throughout the cruise and the boat is fully licensed to serve alcohol (at extra cost). This tour has something for everyone and will appeal to all ages, abilities and a range of interests.